These are old Basic Cake Decorating booklets I picked up at the Thrift store. 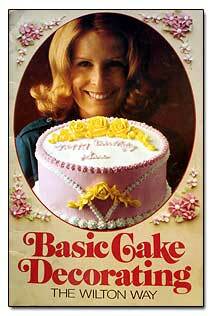 This first one was put out by the Wilton Company and the copyright is 1971. 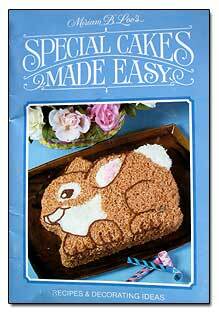 "Now in one complete easy to follow instruction book are all the basics to start you on your way to cake decorating fun." "Everything from the tools you need, to the fundamental techniques of decorating, to the finished cake - is approached from the beginner's point of view so you can easily see and learn how easy it is to decorate a cake." Click below to see some of the pages in this book. One interesting thing I noted is that Wilton refers to the decorating tips as tubes, and Wilton must have a ton of different tubes. 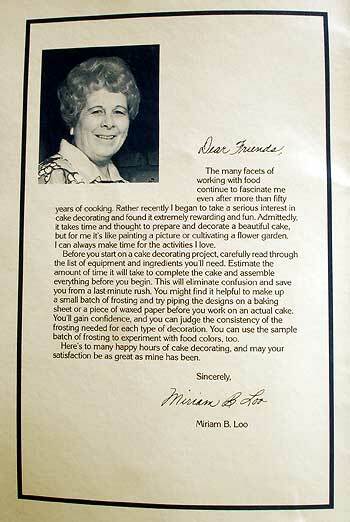 Miriam says, "Dear friends, The many facets of working with food continue to fascinate me even after more than 50 years of cooking. Rather recently I began to take a serious interest in cake decorating and found it extremely rewarding and fun. Admittedly, it takes time and thought to prepare and decorate a beautiful cake, but for me it's like painting a picture or cultivating a flower garden. I can always make time for the activities I love." Before you start on a cake decorating project, carefully read through the list of equipment and ingredients you'll need. Estimate the amount of time it will take to complete the cake and assemble everything before you begin. This will eliminate confusion and save you from a last minute rush. You might find it helpful to make up a small batch of frosting and try piping the designs on a baking sheet or a piece of waxed paper before you work on an actual cake. You'll gain confidence, and you can judge the consistency of the frosting needed for each type of decoration. You can use the sample batch of frosting to experiment with food colors too. Here's to many happy hours of cake decorating, and may your satisfaction be as great as mine has been.